The Swans finally return to the Liberty Stadium for the Championship game against Sheffield United on Saturday evening, having not played on home turf since the 2-2 draw with Wigan Athletic back on December 29. Swansea will have been disappointed last week to have been held 1-1 at Preston. The Swans had a familiar tale of not getting the second goal to kill the game and were denied the three points by a controversial Preston penalty for handball. The Swans have had a good start in 2019 though and remain unbeaten, with big victories away to Aston Villa and Reading. Although Graham Potter’s team will be looking to build on these results with their first home fixture of the calendar year against the Blades, especially given the Swans patchy home league form this season (W5 D3 L5). 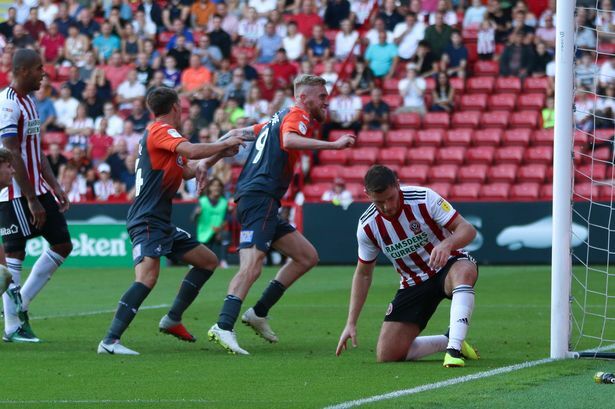 Chris Wilder’s Sheffield United side will no doubt be out to impress in front of the live Sky TV cameras and avenge the Swans 2-1 smash-and-grab win at Bramall Lane on the opening day of the Championship season back in August. The Blades, who are currently 2nd in the Championship at the time of writing, come into this fixture having won their last four league games in succession. They boast an impressive away record overall of only 4 defeats in 13 games, the last one being a 1-0 reverse at Nottingham Forest on November 3. Take a look at all of the historical results between the two clubs since their first meeting way back in 1933, when the Blades knocked Swansea Town out of the FA Cup after a 3-2 victory at the Vetch Field, on our Swansea City v Sheffield United Head to Head Statistics page. Interestingly, the Swans remain unbeaten (W2 D1) against the Blades at the Liberty Stadium to date, whilst scoring 7 goals and only conceding 2. 29 year old Leicestershire official John Brooks will take charge of his 16th EFL Championship game of the season, when the Swans welcome the Blades to the Liberty. He has issued 63 yellow cards so far this season, averaging over 4 per game, and 3 red cards. Only twice has he awarded a penalty so far this season. Brooks was the referee for the Swans goalless draw at Wigan Athletic back in October 2018, but only handed out one yellow card that evening, to Wigan’s Will Grigg. The only time he had been a referee for a Sheffield United game this season, at Bristol City in September, he dished out 4 yellow cards to the away side. Swansea fans’ may be concerned about this weekend’s fixture, as the Swans’ home record against teams currently in the top half of the Championship currently stands at W1, D2 and L4 out of the seven games they have played against the current top half teams. No doubt this will be a record Graham Potter will look to improve on in the 2nd half of the season, but Sheffield United also have a poor record, as they have won one and lost four of the five away games they have played against teams in the top half of the Championship – or top 13 sides if we include the Swans! It is worth noting as well that Sheffield United’s sole victory in these fixtures came way back in August, against a QPR side who started the season dismally at the time. Also, it is worth pointing out that Swansea are unbeaten at home against Sheffield United in the last seven meetings (W5 D2), in a run that stretches back to 1959. I fancy that there will be a few goals in this game. 188Bet are offering odds of 42/41 (2.02) on there being over 2.5 goals in the game, which I feel offers good value, especially when you realise that this has occurred in nine of Swansea’s last twelve games and four of Sheffield United’s last six. Oli McBurnie was my selection for a First Goalscorer last week against Preston North End, with bookmakers refunding these stakes, as Oli didn’t play. The young Scot is my choice again this week, with odds available at 6/1 (7.00) on him opening the scoring, especially given his liking for scoring against the Blades! Oli not only netted in the reverse fixture this season at Bramall Lane, but also scored against the Blades last season for Barnsley, and I’m backing him to continue that trend on the weekend. The ACCA for this weekend is Tottenham, Blackburn, Derby, Charlton and MK Dons and this pays 17.08/1 (18.08) with MarathonBet. Over 2.5 goals at 42/41 (2.02) with 188Bet. First Goalscorer – Oli McBurnie at 6/1 (7.00) with BoyleSports, BlackType and BetWay.